Development is about process and creativity. A problem-solver at heart, I'm passionate about building solutions that empower users to accomplish more with their strengths. Currently, I'm building with .NET and AngularJS for Apex Revenue Technologies, and working on Game Night Buddy whenever I find time. I'm a music enthusiast (all genres) and call Nashville home. Game Night Buddy is about connecting people and enjoying board games. Anyone can create a customizable destination for their board game friends, where you can plan your next get-together, keep track of your collection and record a history of any match played. Perfect for groups large and small, family games, heavy strategy board games, or that fun game you completely made up just now. 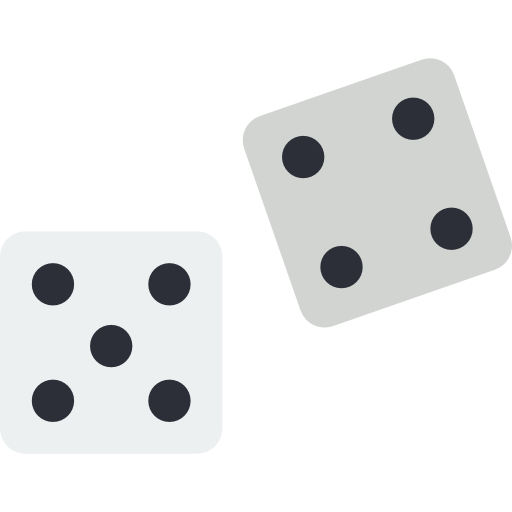 This is a mobile-first, user-friendly game night manager and planner. Signing up via Facebook or Email, creating a game night, adding games and inviting members can all be done in minutes. 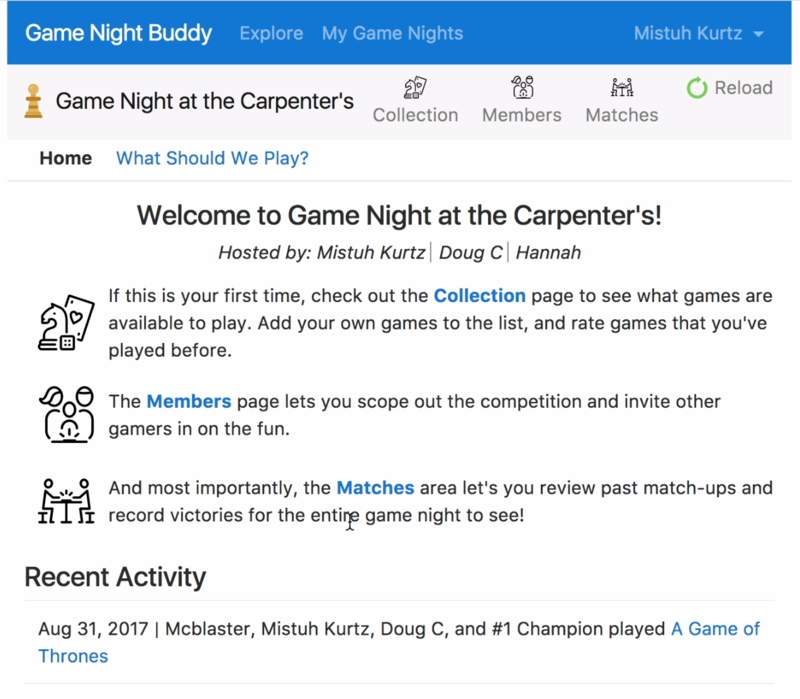 Game Night Buddy is built with Angular 4, .NET Core 2 and SQL Server. 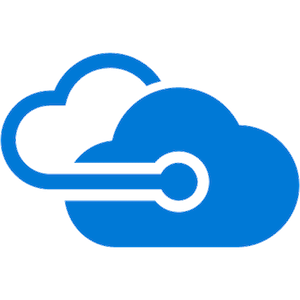 Hosting is provided via free offerings on Azure (server, database) and Firebase (client). This is a passion project and updated continuously. I've always liked to cook, but the process of planning of meal was a big deterrant. You have to find recipes, then compare a list of ingredients to what you may have stored in your pantry, and finally add the rest to a grocery list. Inevitably, I wound up purchasing ingredients that I already had stored away somewhere, or forget about ingredients I have and wind up throwing them away weeks later. Enter Green Apron. Green Apron is a mobile-first, comprehensive meal planner, grocery list and pantry inventory system. 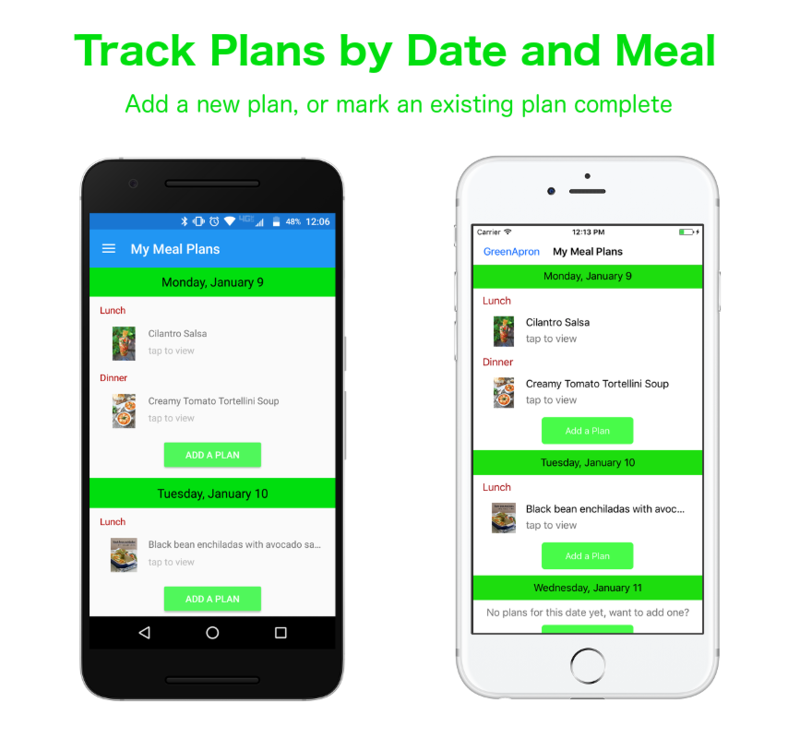 Search thousands of recipes, bookmark your favorites, or add recipes to a meal plan and let Green Apron manage a grocery list and a digital pantry for you! 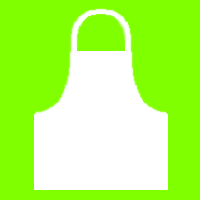 Green Apron was developed for Android and iOS mobile devices using Xamarin. 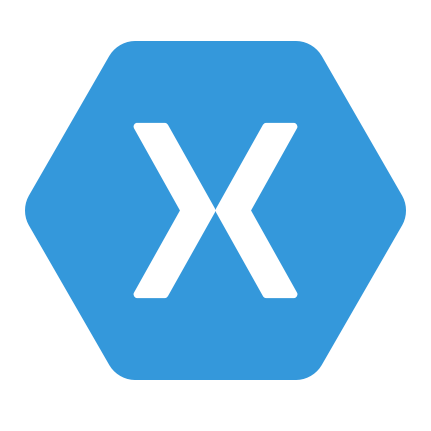 Xamarin is a framework that delivers native applications with a shared Portable Class Library written in C#. And using Xamarin Forms, Green Apron renders native UI elements on each platform, providing a truly native experience. My friendgroup has chatted using GroupMe (a group message service) since 2010, and have always wanted the affordance to relive our old conversations, but GroupMe's interface has never been conducive to that. 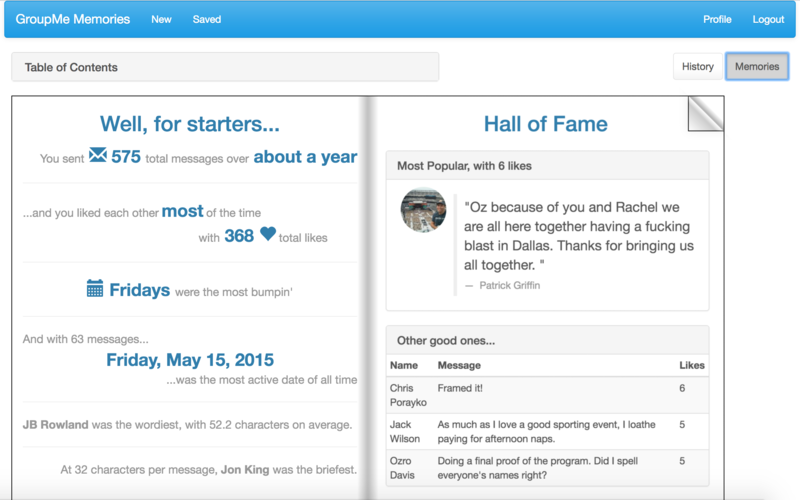 With GroupMe Memories, download entire group conversations and view them as a eBook. Flip through page by page, or navigate directly to a specific date in time. Click on individual messages to add them to a separate, shareable Memories eBook, complete with statistics, popular messages, and personal highlights. 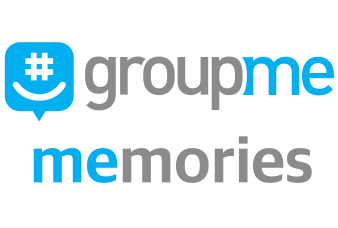 GroupMe Memories was developed with AngularJS, JQuery and TurnJS. Messages are retrieved via GroupMe's API; document store and hosting is provided by Firebase. 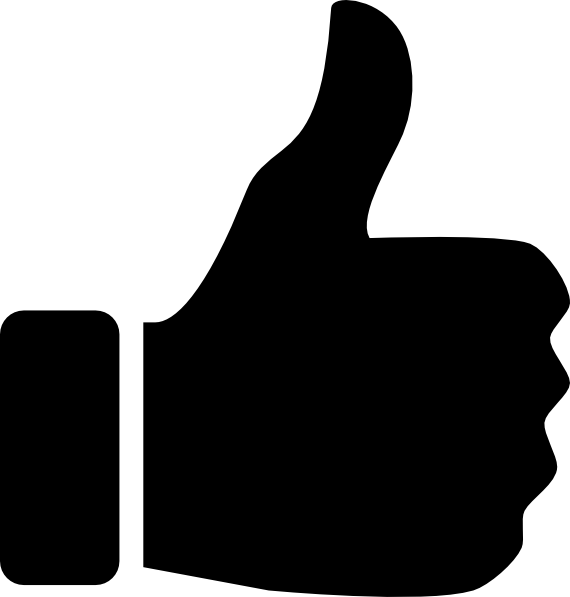 Sometimes you just need someone to agree with you... YesBot is a chatbot designed to agree with you and your friends. 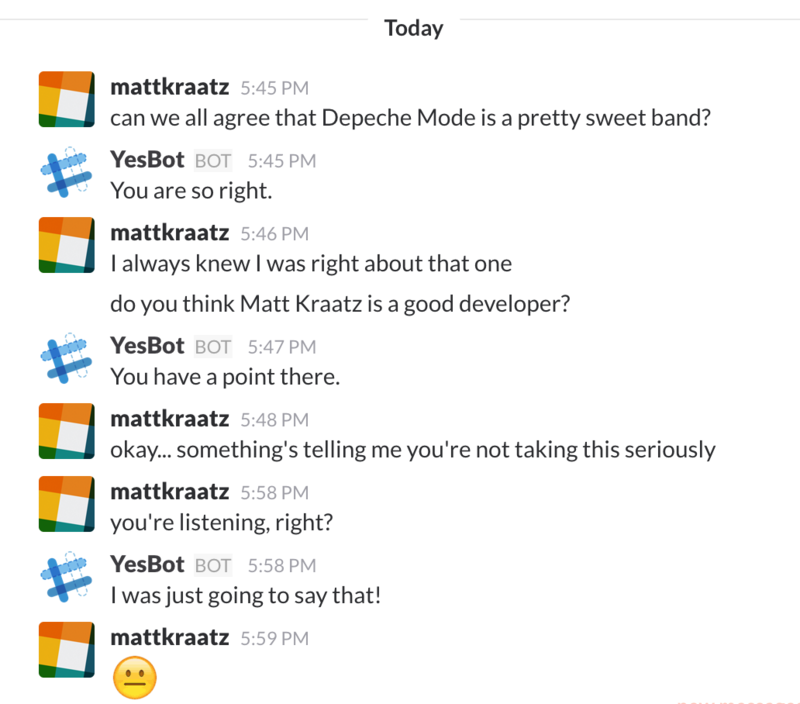 Add YesBot to your group and watch it respond to phrases like "do you agree?" and "what do you think?". The messages YesBot responds to might surprise and delight you. YesBot was developed using the Microsoft Bot Framework. 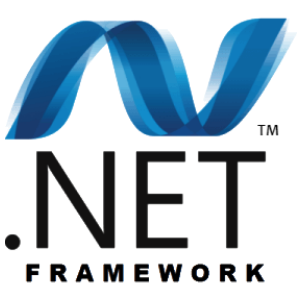 The Bot Framework enables multi-platform development with C#. Currently, YesBot is available for Slack, Skype and GroupMe, with further integrations planned. Language cognition is delivered with machine learning from Microsoft's LUIS Cognitive Service. This project is hosted on a free Microsoft Azure web service.